I’ve been in England for a few days now (eek!). 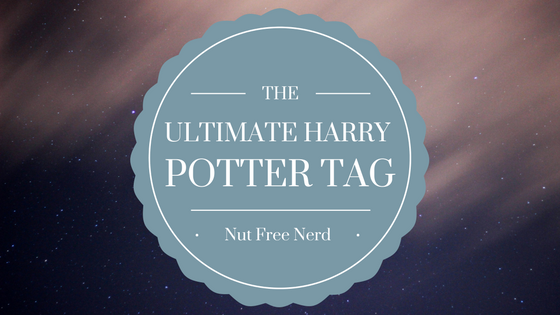 What better way to celebrate with a quintessentially British series like Harry Potter? I was thrilled when I realized that I had been tagged in such a fun (and long!) tag about this beloved wizarding world. Thanks so much to Bridget @ Bridget & Books for tagging me!! 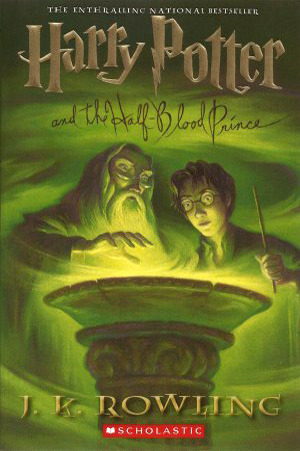 Definitely Harry Potter and the Half-Blood Prince. It’s dark, mysterious, and you learn so much about Tom Riddle’s past. I’ve lost count of how many times I’ve gone back and reread this book! I’m a huge fan of the sixth movie because I love the book so much, but I also adore Chamber of Secrets. The trio is so young and adorable!! 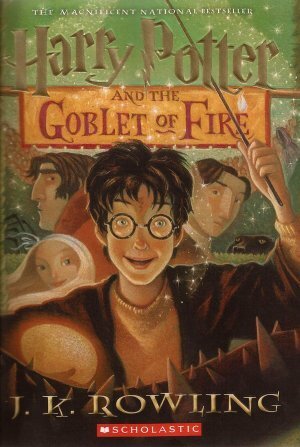 Goblet of Fire. It feels like such a transitional movie to me, almost as though its sole purpose is to bridge the gap between three and five in any way possible. Okay, this is really difficult. Though I love them all dearly, I think I’m going to have to say that my favorite Weasley is Arthur. I feel like he’s such an important father figure for Harry and he has so many hilarious lines. Definitely Hermione. She was such a role model for me growing up as a nerdy, school-loving bookworm. TOM RIDDLE. I think learning about Voldemort’s past as Tom Riddle is absolutely fascinating, which is a huge reason why I love the sixth book so much. Remus Lupin. If I could have an entire book written about the past of only one Harry Potter character, I would definitely choose Lupin. He’s so interesting and plays an immensely important role in shaping Harry. Besides Lupin, I’d say that my favorite professor is McGonagall. Who doesn’t love this brilliant, courageous, strong, compassionate witch? 11. A, Wash Snape’s hair, or B, spend a day listening to Lockhart rant about himself. Wash Snape’s hair– it’s quick and relatively painless. Hmm…. probably an angry Molly because Bellatrix is absolutely terrifying. This is going to sound so strange, but I think I would rather kiss Voldemort. It would be so much quicker than giving Umbridge a bubble bath! I would rather ride a Firebolt because I’ve always wanted to know what it feels like to fly on a broom. 16. Is there a character which you felt differently about in the movies vs books? 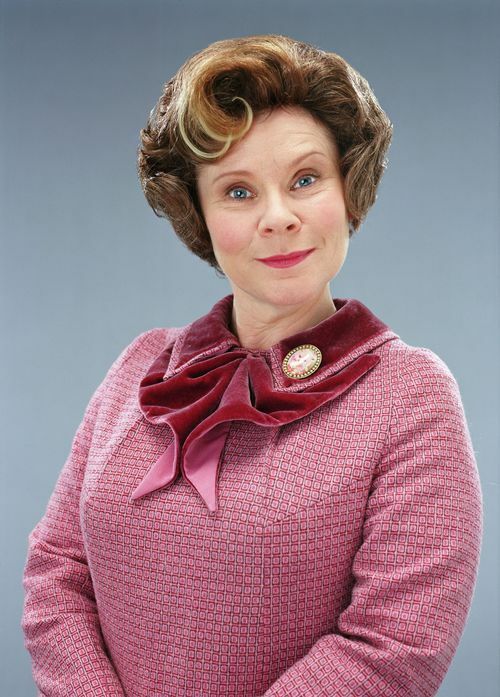 I think I disliked Umbridge even more in the movies than in the books, if that’s possible. 17. Is there a movie you preferred instead of the book? Richard Harris. He’ll always be the best Dumbledore in my eyes. 19. Your top thing (person or event) which wasn’t included in the movie that annoyed you most. PEEVES. Why would they ever leave out such a hilarious characters as Peeves?!?!?! Probably the fourth one because it’s my least favorite. Ravenclaw. Now I feel as though I might be a mix between Ravenclaw and Hufflepuff, though I think the former will always be the most dominant house in me. 22. Which house were you actually sorted into on Pottermore (or another online sorting quiz)? Gryffindor, which I never expected. Maybe I’ve been wrong about my house the whole time??? I have a feeling I would be that one student who loves History of Magic. I think the history of Hogwarts is so interesting!! Accio!! It would be perfect for when I’m too short to reach things on tall shelves. 25. Which character do you think at Hogwarts you’d instantly become best friends with? Ideally, Hermione and I would be great pals. I feel like we have a lot in common– at the very least, we could spend a lot of time studying together! 27. Is there any aspect of the books you’d want to change? This can be a character, an event, anything. I would change Harry’s relationship with Ginny. It seemed really sudden and almost forced to me in the books, as though they were the only two characters left that weren’t already paired up so Rowling just stuck them together. I would love to see their relationship develop more. This has to be the most difficult question ever. My gut response is to bring back Snape because I feel as though there is so much left of his story to tell. Definitely hallows! Horcruxes are just plain creepy. What are your answers to these questions? What HP book is your favorite? Let me know in the comments section below! This is suchh a lovelyy post! Oh my gosh! Yes! Peeves!! That would have been so much fun to see in the movies! Same! I always wonder how they would have casted Peeves in the movies. I like your answers! I think that quote is one of my favorites and Hermione is my role model, also Emma Watson is a great role model, in my opinion! I love this tag, I think I’m going to do it soon! What an awesome tag! Thank you for tagging me! This is going right to the top of my tag list, lol! Great questions and answers!! It’s good to see someone else’s opinions on this. I think the only one I strongly disagree with is the bellatrix/ Molly one, Molly Weasley won against Bellatrix, she may be motherly and loving but she is a badass when she needs to be. I agree the 4th movie is not great and very transitional for the film version of the series. I really enjoyed the book though, so that movie hurt even more because it was just so bad. I hate when movie adaptations are disappointing! Haha I definitely groaned inwardly when I read that scene as well! You make a good point about the relationship being Ginny-sided for the majority of the series… I wish she had had a few other love interests as well. I think I’m the opposite to you because the Goblet of Fire was my favourite one of the books and I would remake Half Blood Prince film (how could you include the Burrow getting destroyed and then miss out Dumbledore’s funeral?). It was fun reading your answers! I am going to do this. Very soon. ☺☺ (Oh, god, my list of ‘self-tagged’ 😂 tags is getting SUPER loooong!! Again, I looved your answers and hope to discover more of your blog. Wow, this is a long lovely tag. I’m actually in the middle of a Harry Potter reread. I’ve read the first three books many times, but the rest of the series considerably less. Actually I’ve only read Deathly Hallows once, and that was on the day it was released. hey! my favourite female character is Hermione too!!! I think Pottermore is designed to only say griffendor. I’m ravenclaw, and I got griffendor on Pottermore and ravenclaw on the scientific one a few months ago. Oh no…. my fav book is your least favorite, though I do agree that it was predictable. I liked it because that’s a turning point for the characters. It’s when they become more aware of the wider wizarding world outside Hogwarts. They really begin to mature there. And I agree about Harry and Ginny’s relationship. I’d also like more development leading up to it.